No Halloween party is complete without the Skull of Doom. If you are looking for a more terrifying party, you should certainly make Skull of Doom Shot. Directions:Put all the ingredients in a cocktail shaker. 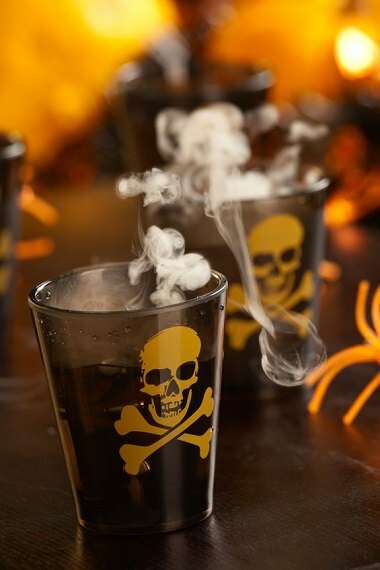 Shake and pour into skull of doom shot glasses for terrifying Halloween presentation. If you don’t have espresso, you can try coffee liqueur, coffee syrup, or brandy. To make these spooky Halloween cocktails you will need some simple ingredients and creepy food decorations. Perhaps, the best thing about these cocktails is that they are oh-so easy to make and oh-so tasty to drink. But, make sure you drink responsibly! What is your favorite Halloween cocktail?